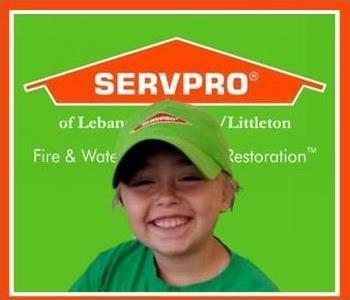 Meet the MASCOTS of SERVPRO of Lebanon/Hanover/Littleton. Maggie is a rescue dog who is 2 years old. Maggie loves to swim and play ball. Amber is a Boxer, Amber was named after the female amateur boxer Amber Gideon. Amber is 12 years old and enjoys laying in the sun. I am a seasoned restoration specialist, leader and problem solver. 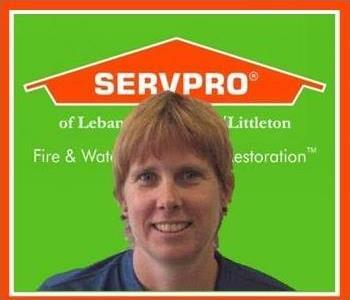 I am an expert in fire and water damage restoration, mold remediation as well as carpet and upholstery cleaning. As a self accomplished entrepreneur, I understand the value of hard work and expect nothing less from the people I employ. 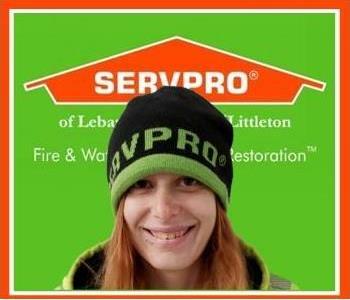 I wore many hats in my conquest in creating a fully operational SERVPRO Franchise. I feel I am able to fully connect and understand the hard work and dedication of all my employees. I believe there is no better way to understand the life of others unless you have walked in the same shoes. OWNER and WIFE of Miguel Perez. Melanie has certifications in (WRT) Water Restoration Technician, (ASD) Applied Structural Drying, (FSRT) Fire & Smoke Restoration Technician through the (IICRC) Institute of Inspection Cleaning and Restoration Certification. Subrogation and DryBook Certified. In the winter months Melanie enjoys teaching young children how to snowboard. Matt is one of our ESTIMATOR/PRODUCTION MANAGER from our Lebanon office. 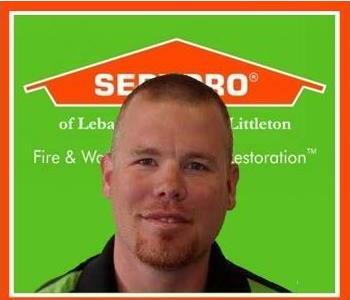 Matt has been with SERVPRO Lebanon/Hanover/Littleton for 6 years. He started as a production tech, where he got his Institute of Inspection Cleaning and Restoration Certification (IICRC) certifications in Water Damage Restoration (WRT), Fire & Smoke Damage Restoration (FSRT). When Matt is not at work, he enjoys spending time with his wife and 5 kids, camping, boating and fishing! Dan is a CREW CHIEF. 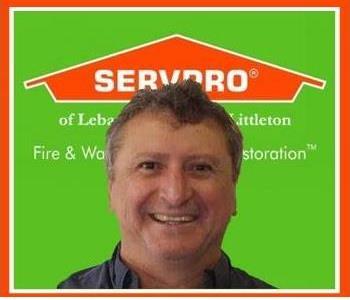 Dan has been with SERVPRO of Lebanon/Hanover/Littleton for 5 years. Dan has a background in construction and enjoys helping his community. Dan is certified in (WRT) Water Damage Restoration Technician, Fire and Smoke Restoration Technician (FSRT), and Lead (through the (IICRC) Institute of Inspection Cleaning and Restoration Certification. Dan has 13 years of construction background. Dan helped in the rebuild in Louisiana State after Hurricane Katrina. Dan has also helped with the Habitat for Humanity Building Homes for New Families. Dan also enjoys camping with his family. Richard is the lead CREW CHIEF in our Littleton office. 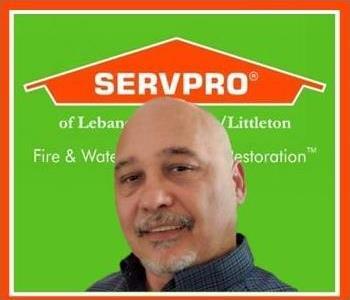 Richard has been with SERVPRO of Lebanon/Hanover/Littleton for 7 years. Richard is certified in (WRT) Water Damage Restoration Technician, through the (IICRC) Institute of Inspection Cleaning and Restoration Certification. Richard's best friend is his dog Bella. Richard's motto is "The old saying goes if you worry to much about the mice the elephant gets out". 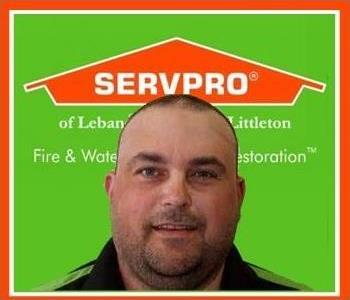 Paul is a PRODUCTION TECHNICIAN for SERVPRO of Lebanon/Hanover/Littleton in our Littleton office. Paul is scheduled for (WRT) Water Restoration Technician class through the (IICRC) Institute of of Inspection Cleaning and Restoration Certification this coming fall. Paul is bi-lingual with his native tongue being French Canadian. Paul is an extremely hard worker. Paul enjoys saving his money, but when Paul has some extra cash your sure to find "THE SCRATCH TICKET KING" with a pile of scratch tickets scratching for the big win. 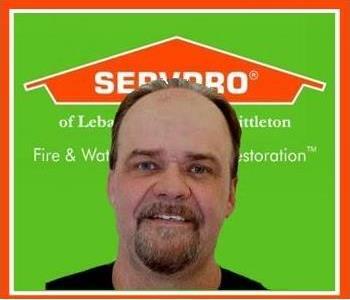 Gordon is a MARKETING REPRESENTATIVE at SERVPRO of Lebanon/Hanover/Littleton. Gordon is responsible for our local Marketing development and implementation. 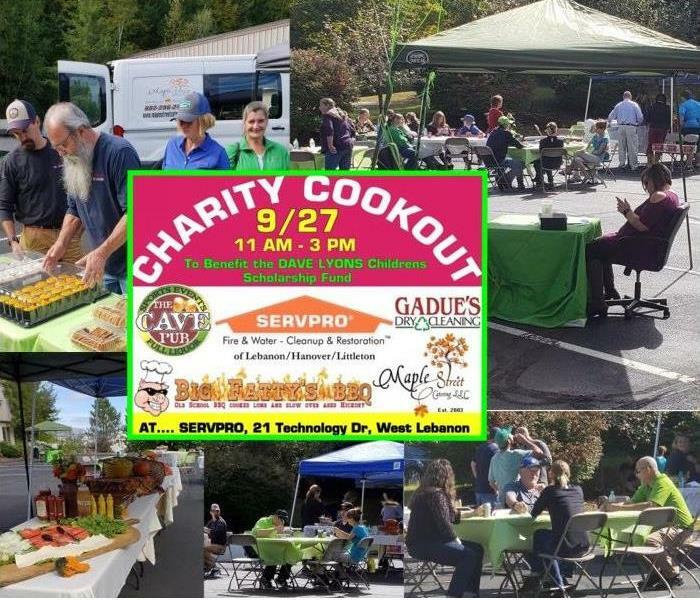 Via community involvement, Business after hours, Networking groups and visiting our Residential and Commercial partners, Gordon is always focused on building and maintaining the SERVPRO brand. His commitment in these areas foster the relationships that allow for the continued growth of the Franchise as well as high Brand Awareness. Gordon comes to us with a background in Customer Service, Sales, B2B Development and Management. He has worked and lived in the Upper Valley of NH for 50 years, raising a Family and building a reputation for taking care of his Clients. In the summer months Gordon enjoys spending time with friends riding his motorcycle. The winter brings him to playtime with his snowmobile. 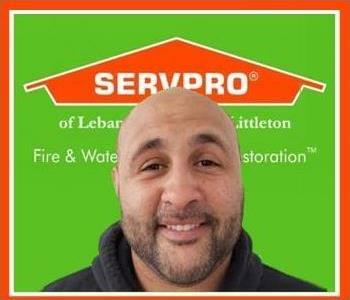 When not working or riding a motor toy, he spends time enjoying his wife, children and family.We are pleased to add Gordon’s skill set to our Team at SERVPRO of Lebanon/Hanover/Littleton. Larry is a PRODUCTION TECHNICAN from our Littleton office. Larry has been with us for over 5 years. He is certified in water. 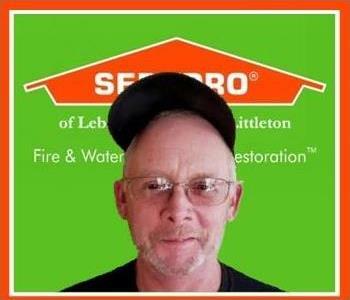 Prior to coming to SERVPRO Lebanon/Hanover/Littleton, Larry did bridge construction. Larry likes to fish and play sports, when he is not tending to water and fire damages! His favorites are basketball and baseball! He also enjoys spending time with his family, has also coached his sons basketball team!! 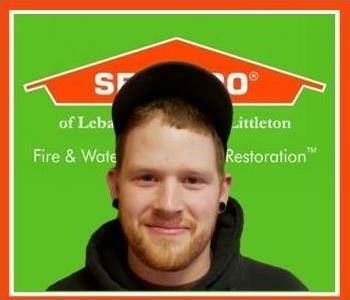 Sam is a CREW CHIEF from our Lebanon office. Sam lives in Hartland VT and is available 24 hours for emergency services. 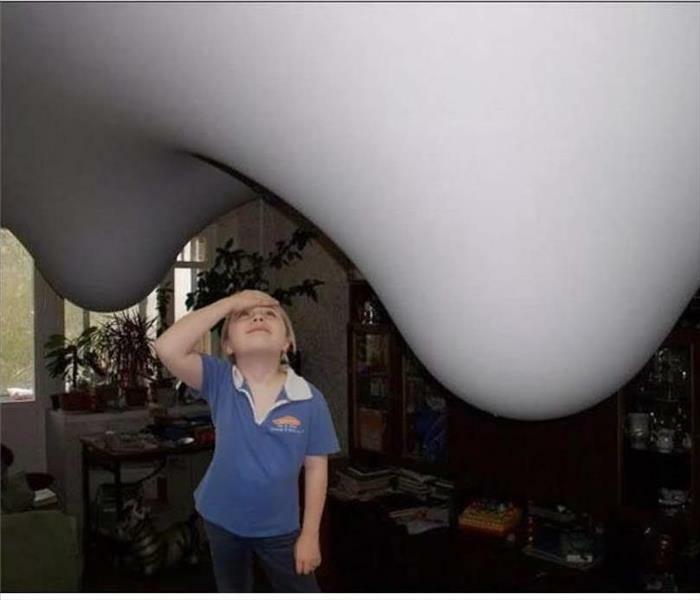 Sam is a certified Water Damage Restoration Technician and Fire and Smoke Restoration Technician (FSRT) through the Institute of Inspection Cleaning and Restoration Certification (IICRC). 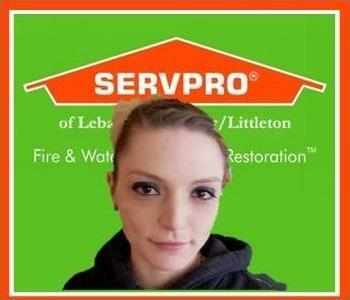 Sam has 3 years’ experience in the restoration business and has been with SERVPRO Lebanon/Hanover/Littleton for 2 years. When Sam is not at work, she enjoys music, snowboarding or a good book. Sam is an animal lover, with 2 bearded dragons, a rat, and fish at home! Sam also rescues and rehabilitates at request! Stephan is one of our ESTIMATOR/PRODUCTION MANAGER from our Lebanon office. 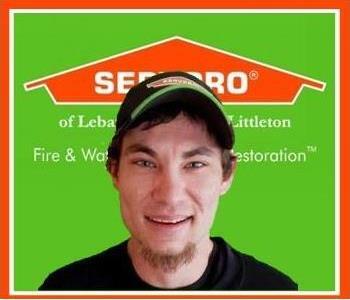 Stephan has been with SERVPRO Lebanon/Hanover/Littleton for 5 years, with 10 years of restoration experience. Along with Restoration experience, Stephan also has experience in construction, mechanical and mitigation services. Stephan’s hobbies include building cars, snowboarding, hiking and adventures, along with fish/aquariums and exotic pets. Stephan has 2 bearded dragons, a rat, and fish at home, and also rescues and rehabilitates at request! 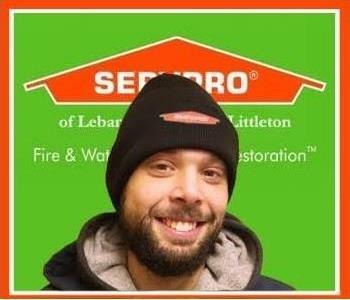 Chris is a PRODUCTION TECHNICIAN from our Lebanon office. 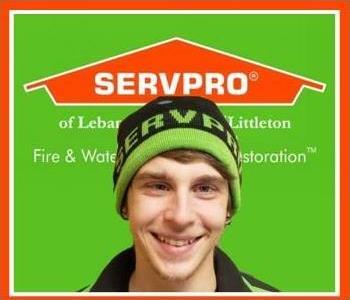 Chris has been with SERVPRO of Lebanon/Hanover/Littleton less than a year. Chris is a carpenter, and has been in the building trade for 33 years, in which time he has owned his own business in building. Chris spent 4 years on the fire department. His hobbies include fishing, hunting and spending time with his family! 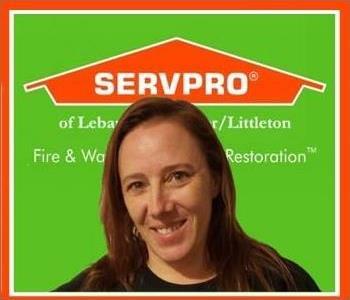 Wendy is a Marketing Support Representative at SERVPRO of Lebanon/Hanover/Littleton. 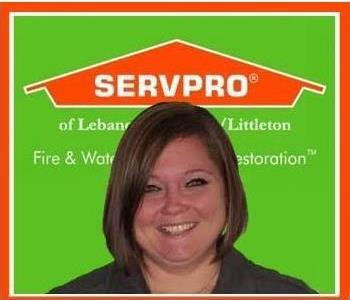 Wendy is focused on building and maintaining the SERVPRO brand. Wendy comes to us with a background In Computers, customer service and Management. Wendy has lived in the Upper Valley for 35 years, raising a Family and in her spare time enjoys being a foodie, reading as many books as she can and spending time with her Family. Cory has been a great addition to the Production crew. 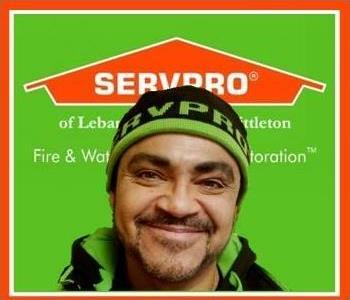 He comes in every day with a smile, works hard and displays all the values that we believe in here at SERVPRO of Lebanon/Hanover/Littleton. Cory lives in Lebanon NH and was once a line cook. We are glad he made a move to Restoration. Cory has certifications in both Fire and Water. Pedro comes to us all the Way From Oklahoma City! Originally from Cancun, Mexico, Pedro lived many years in Oklahoma City, where he has many family members. 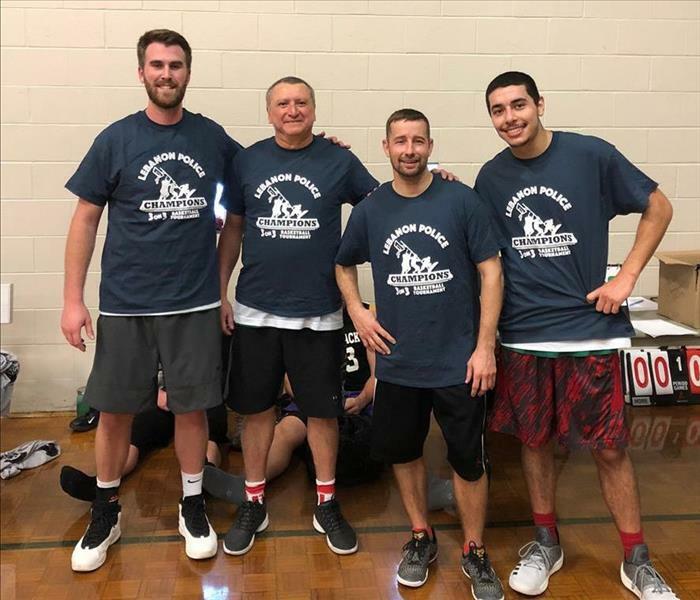 In his off time Pedro enjoys Basketball and Soccer. He is also a DJ! 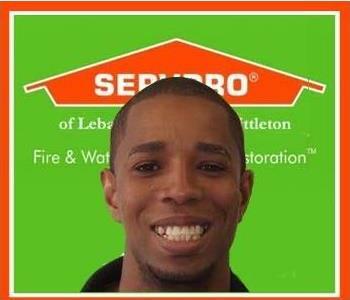 We are very happy to add Pedro to our SERVPRO Family! SKYLER, of our weekly Skyler Says.... Segment on Facebook. Skyler is the lovely daughter of Dawn and Matt and our official Mascot.. kinda, sorta. Lets just call her our SpokesGirl! Skyler loves to ham it up for our weekly segments and we sure get a big kick out of her youthful Joy! 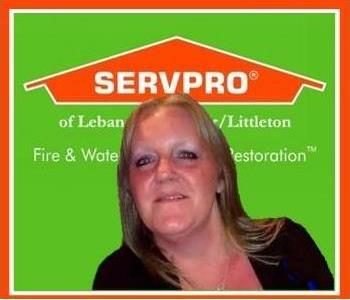 We are happy to Welcome Denise back to the SERVPRO Family. Denise worked for us 8 Years ago. The spent the last 7 years working for Garnet Hill. With 2 sons, ages 16 and 23, Denise enjoys spending off time with them and loves the Summer Months! Rosie is a Mom of 2 and loves swimming, sledding and just playing with her kids. Rosie tells us that what she likes most about her job as a production crew member, is that its different every day. 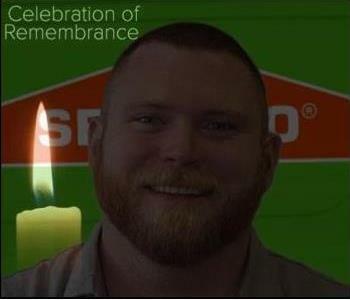 Before coming to SERVPRO as a member of the Production Team, Josh drove Box Trucks. Just loves cars and Diesels and when not working he enjoys spending time with Friends and Family. It is with the utmost sadness that we say goodbye to our friend and coworker Dave Lyons. Dave passed unexpectedly on Thursday August 9, 2018. Ramon is a Senior Crew Chief and has worked with us for 6 years. Having much experience, Ramon can lead on just about any job we undertake. 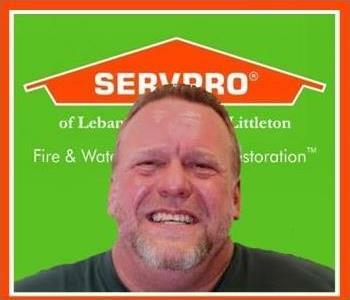 He also takes care of our SERVPRO Vehicles, maintains the shop and helps to keep the office looking good. Dawn has been with us sometime. She currently held the position of Marketings Sales Rep and of late has taken on the task of Job File Coordinator. Dawn has for 5 Children ( plus Matt ) and is a dedicated Mom and wife. Jason is our newest addition to the Production Team. He shows great initiative, and has a very pleasant manner. Jason will be a tremendous asset as he learns all there is to know about the Restoration Business.